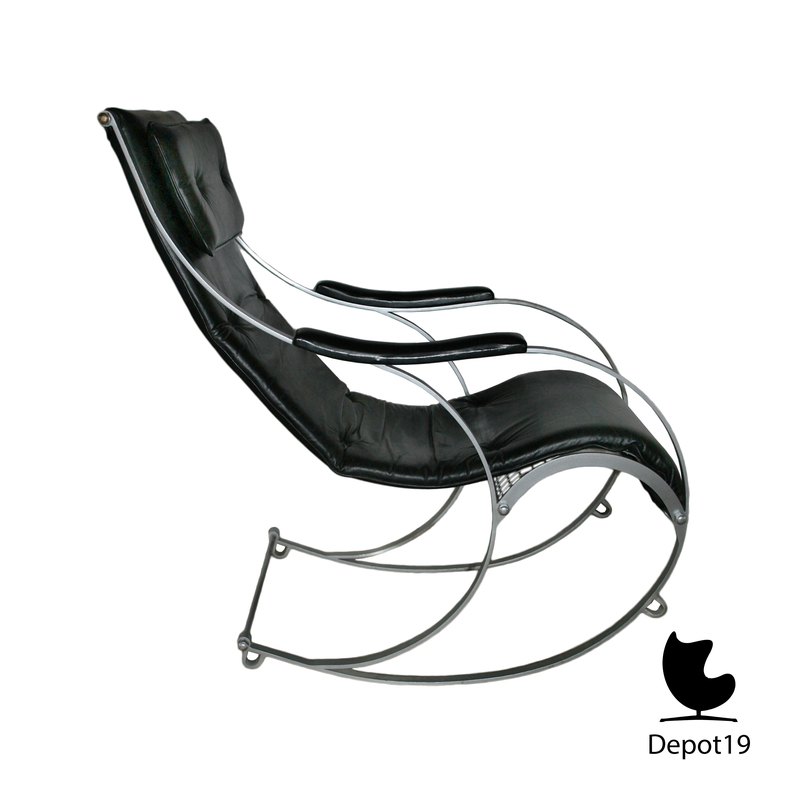 Steel rocking chair from ± 1850, made in the United Kingdom. 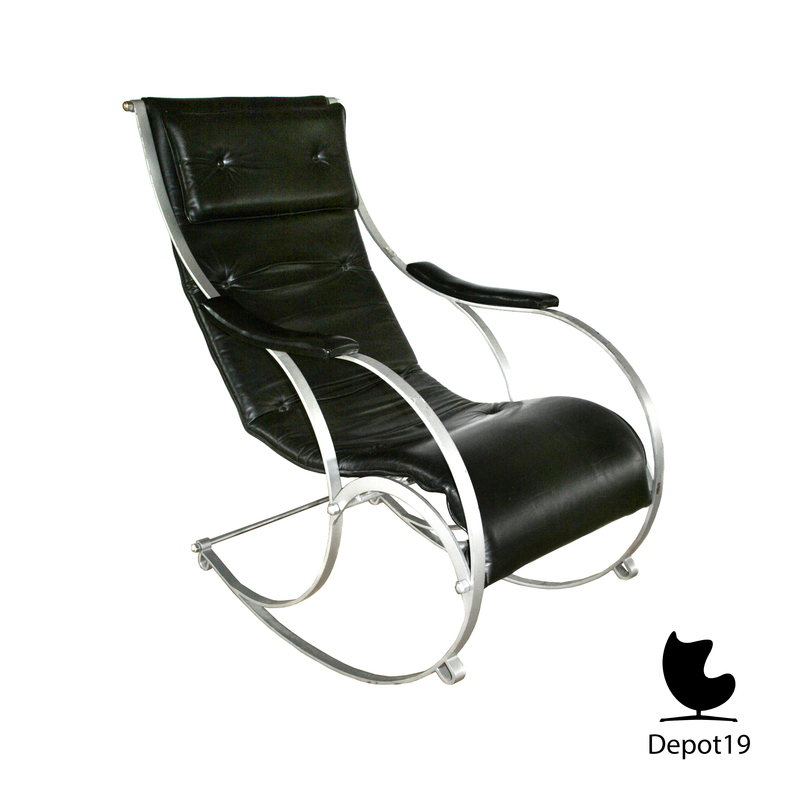 Black leather seat in a steel frame. A similar chair has been exhibited at the Great Exhibition of 1851 and later in 1862. The chair was hounered for its modern design. The simple design was a reaction on the heavy furniture from this time. Peter Cooper made the draft and they were fabricated by RW Winfield & Co. 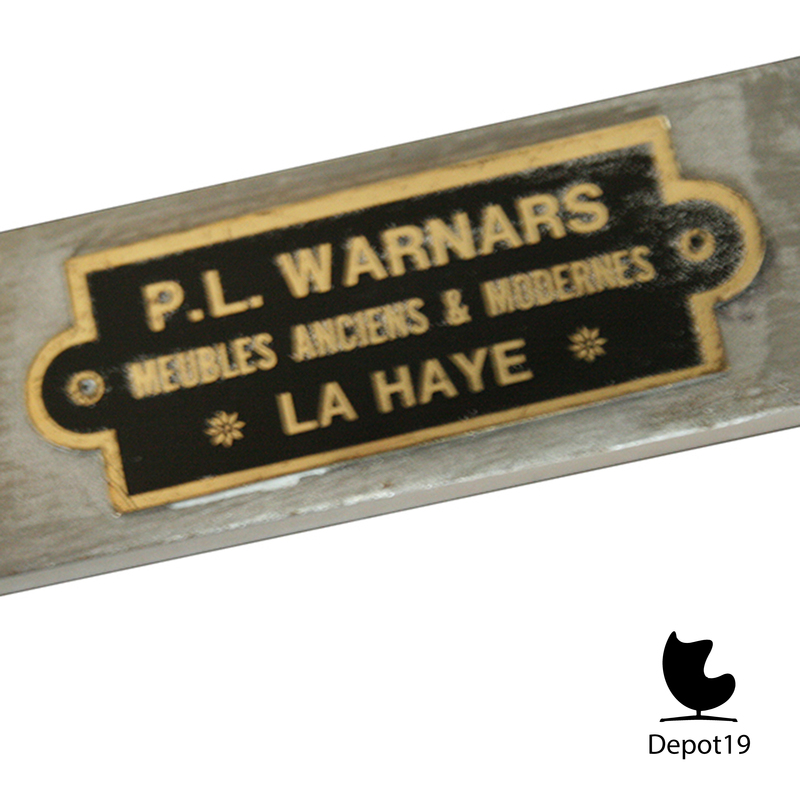 Labeled with a label of PL Warnars, Purveyor in The Hague, a label that has been used before 1874.